OMG are all grown up! These young ladies have begun #TheTransformation, which is an undertaking that embodies the girlz new look and new sound all before our eyes. 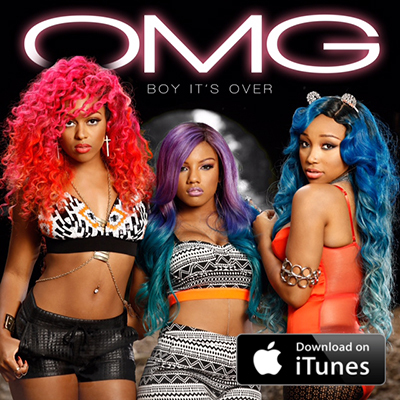 With #TheTransformation, comes the official reveal of the “new” OMG and the newest single, “Boy It’s Over” —a remake of the Jagged Edge-classic, “Girl It’s Over.” “Boy It’s Over” was written by Jagged Edge’s own hit makers, Brandon and Brian Casey whom the girlz have been working closely with on other music projects and produced by newcomer J Reid. “Boy It’s Over” climbed the charts within hours on iTunes and peaked at #6 on the iTunes R&B/Soul charts! Music lovers who miss that 90s R&B sound from back in the day will treasure this track, while finally giving OMG fans the highly anticipated first record from #TheTransformation movement. Stay tuned for more from OMG and #TheTransformation!